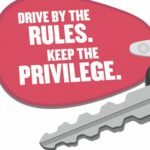 A lot of people want to know – can you get a limited driving privilege if your license has been permanently suspended for habitual impaired driving? The short answer is no, BUT you can petition the DMV to restore you driving privilege after ten years have passed since your last DWI conviction. A person may be eligible once ten years have passed after the completion of the sentence accompanying the latest DWI conviction. This is different than the standard limited driving privilege that is oftentimes available to someone who was simply convicted of a basic misdemeanor DWI. Rather than petitioning the court for the right to drive to and from work during the period of suspension, the person petitions the DMV to restore their driving privilege. Remember that this is up to the discretion of the DMV because driving is considered to be a privilege, not a right. The habitual offender can request a hearing with the DMV after their ten years have passed. If they are eligible, the person will have an opportunity to have a lawyer present evidence on their behalf at the hearing and explain to the DMV why they should be allowed to have their driving privilege restored. If the DMV decides the person should be allowed to drive again, they may impose certain restrictions. One common restriction is that the person be required to have an ignition interlock device installed in their car. The device requires that a person blow a 0.00 BAC before they are able to turn their car on. Note that a person who receives a third DWI will also be have their driver’s license permanently revoked by the DMV. However, the person is not considered a habitual offender at this point. In addition, this three-time DWI offender may petition the DMV for the restoration of their license after three years have passed since their latest conviction. If you have been charged with DWI or habitual DWI / habitual DUI, you should contact a criminal defense attorney to discuss your options.